Today Riley interviews Ryan and Dianna Muller, pro-shooters and all around amazing people. Ryan is an engineer and does a lot of consulting work in the industry especially for F1 Firearms which are quite distinctive AR-15 platform rifles. Dianna does a lot of work with her organization, The DC Project. She also just recently returned from winning Gold in the Team Ladies Standard Division at the 2018 IPSC Shotgun World Shoot and Silver in the Individual Ladies Standard Division! She is also a retired police officer, so she understands both sides of the coin–competitive and defensive shooting. 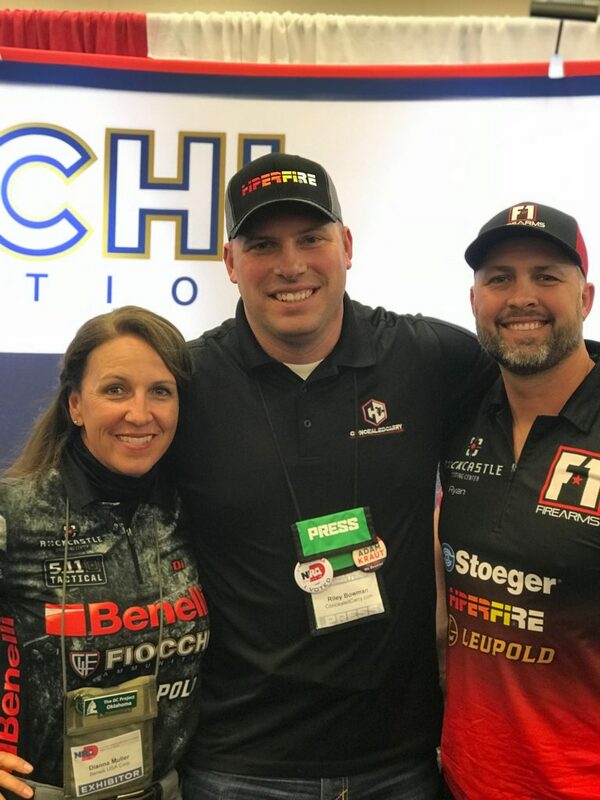 Ryan and Dianna have many tips and helpful ideas for shooters looking to get into the shooting sports and also experienced shooters looking to up their game. PLAY above to listen to this jam-packed episode!